Kites belong in the Accipitridae* family of birds of prey. They are divided into two subfamilies. 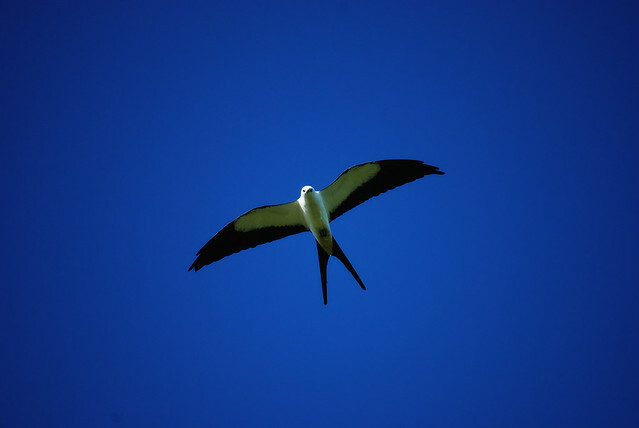 Elaninae kites are sometimes considered to be "hovering kites" and are generally smaller in size. Milvinae kites may be known as "soaring kites" and tend to be larger birds. There are approximately 22 recognized species of kite in the world. Eight belong to the Elaninae subfamily, while 14 are Milvinae kites. There are four species of kite found in North America: Swallow-tailed Kite; White-tailed Kite; Snail Kite; and Mississippi Kite. Not all kites are called "kites". 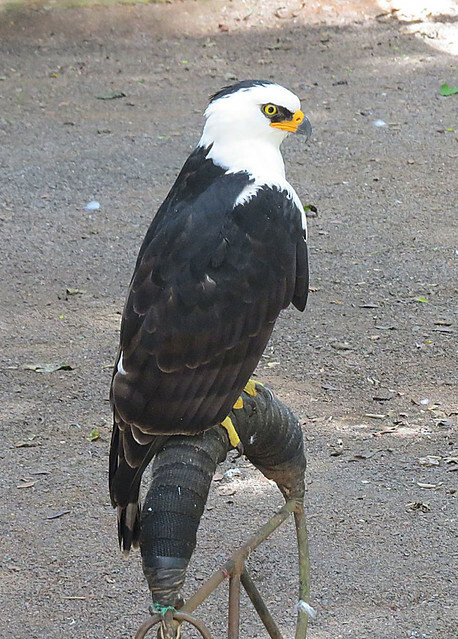 The Bat Hawk of Africa and Asia is an Elaninae kite with a falcon-like profile and a preference for dining on bats. 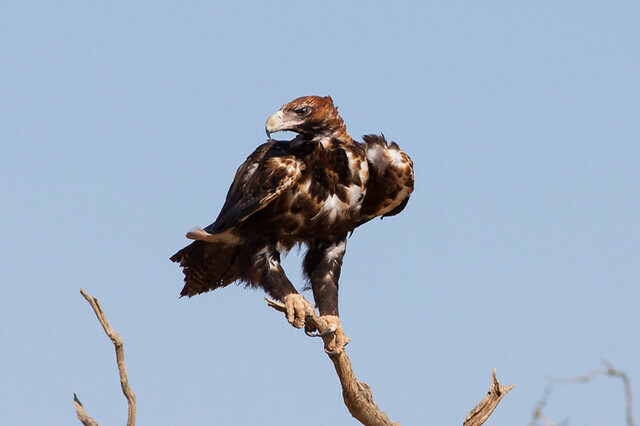 The Black-breasted Buzzard of Australia is an eagle-like bird that is sometimes considered to belong in a different family or subfamily altogether. 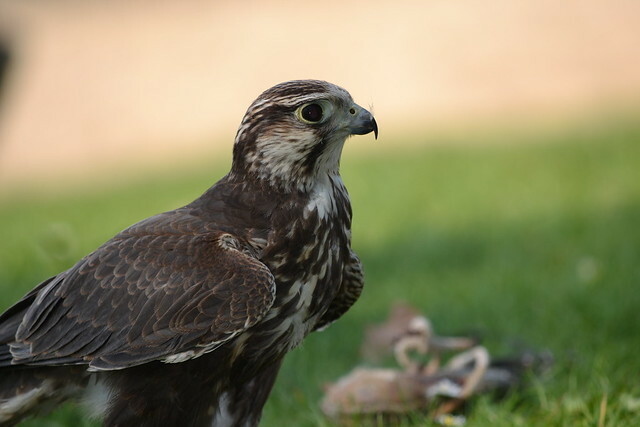 Three different raptors in the subfamily Perninae are called kites, though they are not closely related to the other kites. They are the Grey-headed Kite, White-collared Kite, and Hook-billed Kite. 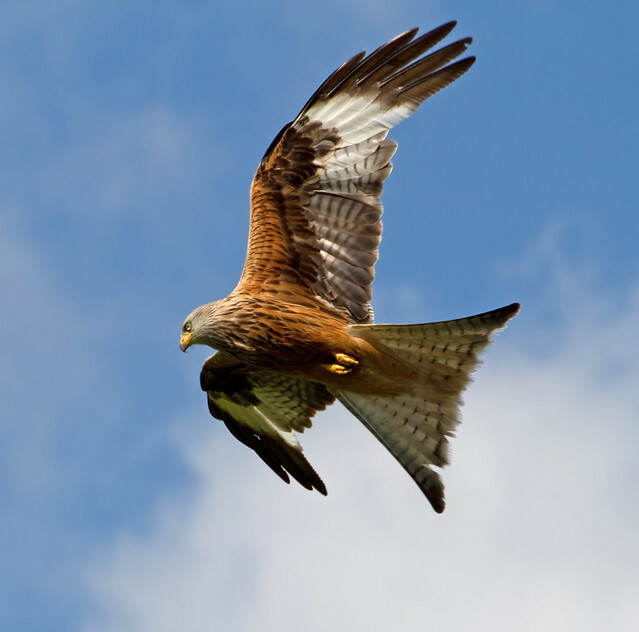 Some kites are migratory, while others are year-round residents throughout their range. 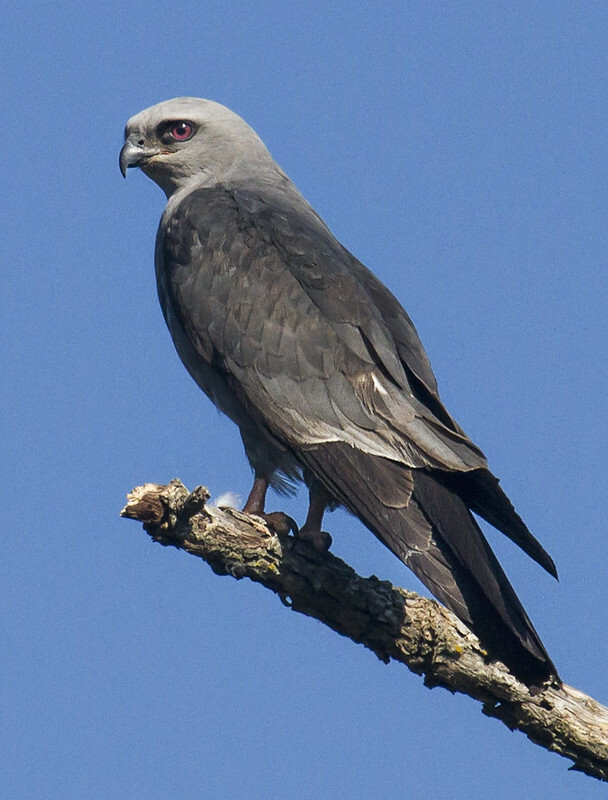 The Mississippi Kite, for example, breeds across the southeastern United States and winters as far south as Argentina, while the Snail Kite is a permanent resident across its range. Kites are found on all continents except for Antarctica. 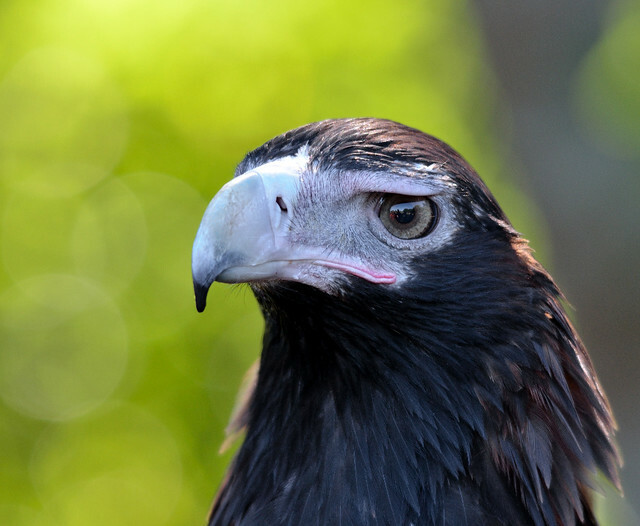 Black Kites are found on four continents: Africa, Asia, Australia, and Europe. 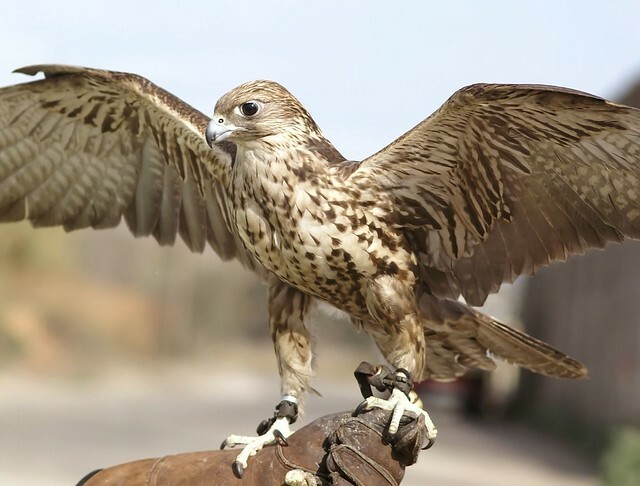 They are common throughout their range and may be the most abundant species of raptor in the world. Most kite species lack global population concern, though some species have local issues (like the Snail Kite in Florida). The Letter-winged Kite of Australia and the Red Kite of Europe and Africa both have a conservation status of Near Threatened. In most kite species, adult birds all look alike. An exception to this rule is the Snail Kite. Male Snail Kites are mostly dark blue-grey, while females are brown with streaked underparts. 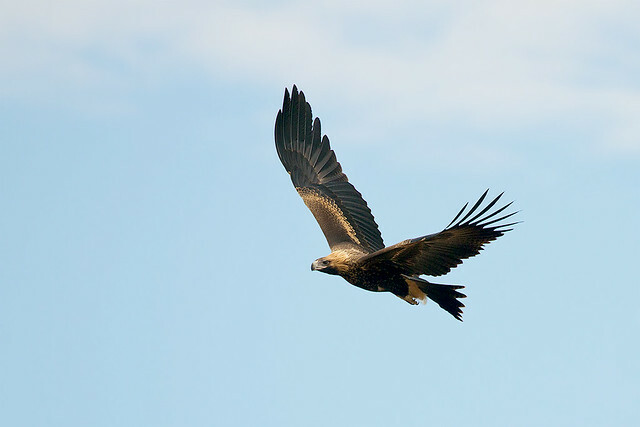 You can find five kite species here on Birdorable: Snail Kite; Swallow-tailed Kite; Mississippi Kite; White-tailed Kite; and Black Kite. * Note that different taxonomical classifications may organize these and other birds in another way. As scientists learn more about birds and DNA, changes are noted and accepted and eventually integrated or rejected by various naming organizations and protocols.